With the OnePlus 6T now official, it’s not wasting any time and will be soon facing off all the other handful of flagships this holiday season. As we welcome the latest entry in the series from OnePlus, we still can’t forget about its first half of the year star; the OnePlus 6. Sure, the new model is getting all of the recognition right now, but the OnePlus 6 was no doubt one of the big names to make some waves during the first half of the year. However, it’s now time to uncover what really distinguishes them from one another. The first thing we really have to comb over is how the two nearly match one another in the specs department, which shouldn’t really be too much of a shock just because we see this strategy with every other manufacturer releasing two flagship products in the year. 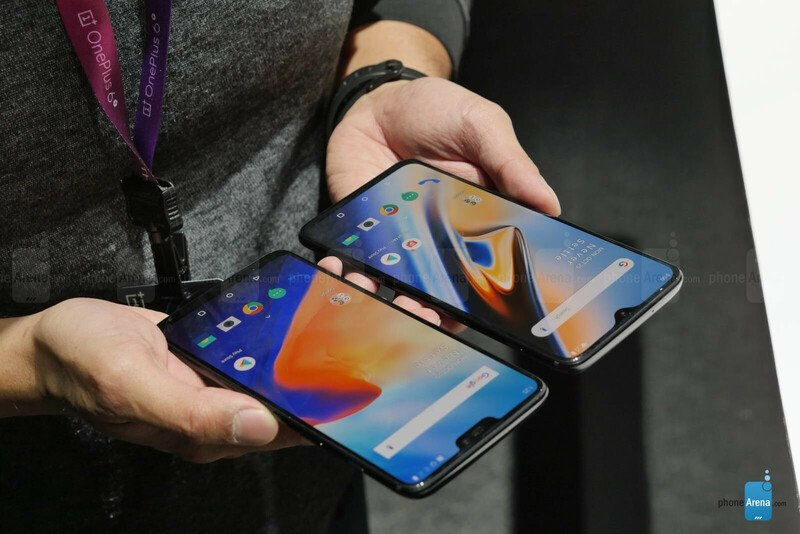 Both leverage the Qualcomm Snapdragon 845, their displays have the same resolution (although the OnePlus 6T has a slightly larger screen), and their dual-cameras are spec’d similarly (as well as their front-facing). Like we said, there are a lot of similarities with the specs, but there are two specific areas where we see a significant improvement. 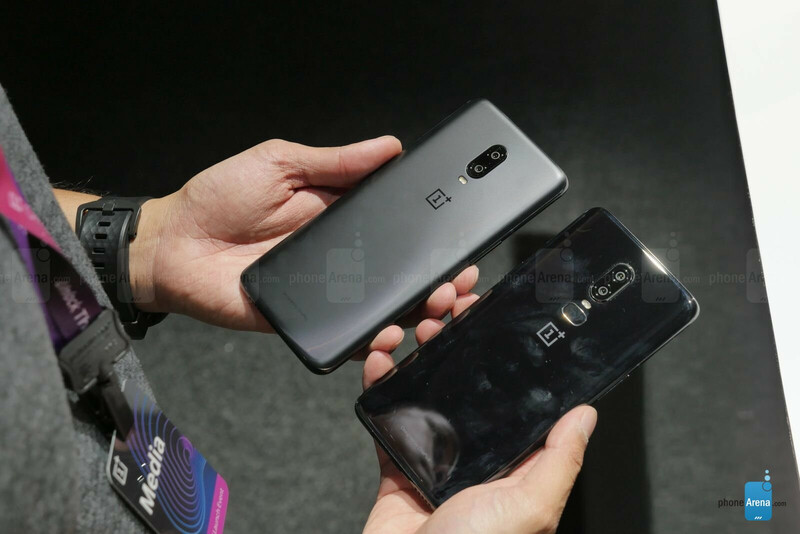 The first being the larger 3700 mAh battery that they’re able to cram into the OnePlus 6T, versus the 3300 mAh one in the OnePlus 6. Naturally, this should help to give the OnePlus 6T a decent boost with its battery life, making it even more long-lasting than its predecessor. And secondly, the OnePlus 6T goes the distance by supporting more bands than its predecessor, which is always a good thing! Considering that it now offers support for band 13, it means that this new OnePlus can ride the waves on Verizon’s network. Beyond the specs, there’s just one thing that continues to get underneath our skin. And that’s how there isn’t a headphone jack with the new OnePlus 6T. Yes, the introduction of an in-screen fingerprint sensor is undeniably captivating, especially when you factor in its killer pricing, but it nixed the headphone jack. At first, this seems like a deliberate and callous act, but the more we thought about it, the more we realized that it was necessary. Don’t get us wrong, we really love phones that still pack a headphone jack. However, adding it to the OnePlus 6T would’ve compromised on that fancy new in-screen senor. So, when you have a chance at making an impression with something new and fancy, dropping the headphone jack makes sense. If they did opt to keep the jack, it would’ve meant having a rear-planted fingerprint sensor, which would be exactly like the OnePlus 6. Rather than going that route, this decision to kill off the headphone jack, despite how many people in the OnePlus community are still passionate about it (as well as us), is more credible given what’s at stake. Imagine how we would’ve all felt if they unveiled a OnePlus 6T with a headphone jack and a rear-planted finger print sensor! We’d all be scratching our heads in confusion, just because it would seem as though they’re re-releasing the same phone under a different name. The last piece that really gets our attention with this first look is how the new phone will outdo its predecessor in the camera department. On paper, the cameras of both phones are identical, but as we all saw during the announcement, there’s more focus with low-light photography with the OnePlus 6T, courtesy of the new nightscape mode. 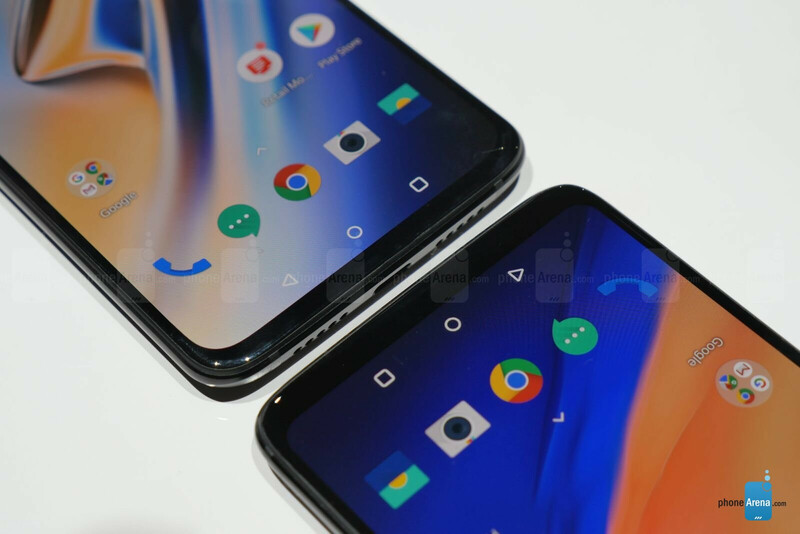 Most of us expect the OnePlus 6T to significantly offer better low-light performance with this feature, but it’s rather interesting because it’s also coming out to the OnePlus 6 – so who knows how much better the new phone is in this department. Honestly, even though the OnePlus 6 is also getting Nightscape, we’re still crossing our fingers that there’s a significant boost in quality everywhere else. That’s all for now! The OnePlus 6T will be officially going on sale very soon starting at $549, which is a pretty good price for a flagship caliber smartphone. Then again, we said the same thing about the OnePlus 6’s starting cost of $529. 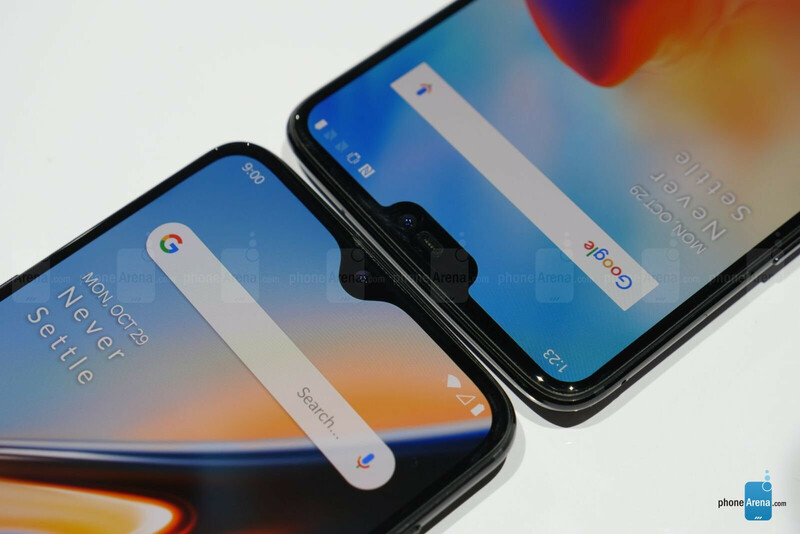 Given how the new OnePlus 6T packages in that fancy in-screen fingerprint sensor, supports more bands, features only a tiny teardrop notch, and even houses a larger battery, we’d say that the $20 difference is looking mighty justifiable. People really should skip and just buy the T versions that come out only a few months later. I'd be annoyed if I bought the 6. But then the 7 comes out 6 months after this... Basically there will always be something better coming down the pipeline and you can’t wait forever! The next version is actually a bigger upgrade. You get newer chip and new features v/s just a polish. 5 to 5T was a much smaller bump than 5T to 6. Same will be with 6T to 7, since we will get 7nm processors and 5G next year. I own a OnePlus 6 and I don't really want a 6T. Yeah, the bigger battery is nice, but you lose out on the notification LED and the headphone jack. Also the new fingerprint scanner is nice but it's slower. It's a really incremental upgrade. OP7 on the other hand will be a much bigger upgrade just due to the processor. iPhone XS max shows how efficient 7nm is even with tiny battery, and 5G would be awesome. We might even see UFS 3.0, which combined with the 855 would make a seriously fast phone. Not to mention the fact that we might see OnePlus finally fitting a proper camera, wireless charging and stereo speakers. b.s on same size note is much bigger !!! note is a much different product anyway dont compare the 2 , this is more like a s9+ in size. The reason to buy oneplus is their software optimisations n price. The only huge mistake they made was removing the LED notification light WITHOUT enabling an Always-On-Display. That’s a big no no. I'll definitely head to a T-Mobile store to check one of these out in person. I'm not a phablet phan, but OnePlus is really getting close to a compromise free device when comparing against other flagship devices like the Pixel and S9. Once Google releases Night Sight, it's game over for everyone. But for now, everything I've seen between OnePlus and Google/Samsung/Apple, OnePlus camera comparisons are almost neck and neck. Not bad for ~$300 less than everyone else.